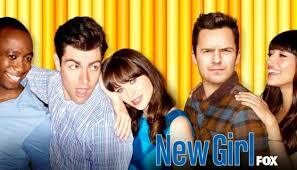 We are back to our beloved show, New Girl. Schmidt and Cece have finally gotten married; Winston and Aly are in love, but poor Jess and Nick have crossed paths when Regan showed back up and snatched him up. Let's see what kind of shenanigans Jess can come up with on Season six! Well folks, it's the mother of all New Girl's, it's Schmece's wedding day. Finally. We made it. It's also the finale for Season 5, let's just get on to it. We're almost there, this is the episode of New Girl right before the big day: The Wedding! Let's see what happens on Wedding Eve.